When couples divorce, they may disagree on certain aspects, which can lead to delays. With new divorce laws on the horizon, many couples are now rushing to get married before the start of the new year so they can reap the financial rewards before it is too late. Starting January 1, 2019, alimony payments will be treated differently. For the past 70 years, these payments—made from one spouse to another—were tax-deductible for the payor, while the recipient would not have to pay taxes on the amount. It was considered a win-win situation, as both parties would benefit from this exchange of money. After December 31, this will change. There will be no tax deductions in place for the payor. In addition, the recipient will have to pay taxes on the income. This will result in certain negative consequences. First, this will affect the recipient spouse in that there will be less money to go around. If they receive $1,000 a month, for example, they can expect that maybe $200 will go to taxes. This will result in a couple thousand dollars lost every year. Women are expected to fare the worst from this change. They are already at an economic disadvantage in a divorce, since they tend to earn less than men. Their income, on average, decreases by 20 percent. Men, on the other hand, actually see their income increase after a divorce. Men with children see their income increase by more than 30 percent. This new law will lead to more arguments on alimony. There will be no incentive for the paying spouse to pay alimony, so they will be less likely to agree to it. Therefore, it’s possible that the recipient spouse could lose out and not receive it at all. Thanks to the Tax Cuts and Jobs Act, which was passed last year, the tax rules on alimony are changing. Couples must come to an agreement on the terms of their divorce before this month ends if they want to take advantage of the tax benefits. This means divorce lawyers are feeling the pressure as they scramble to get agreements in place before the ball drops on New Year’s Eve. The tricky part is dealing with couples who have prenuptial and postnuptial agreements in place that stipulate certain restrictions on alimony amounts. Will these change under the new law? 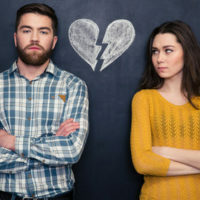 While divorcing couples may not be happy about this new law, the IRS certainly is not objecting. The agency is expected to receive nearly $7 billion in additional revenue from this change. Divorces are not easy to finalize. There is often anger, animosity and hard feelings involved, making it difficult for the parties to come to an agreement. If you are ending your marriage, it’s important to understand the laws involved and how they will affect you. Let the Dade City family law attorneys at Mander Law Group help. We can help you achieve a favorable outcome so you move on with your life. Schedule a consultation today by calling (800) 557-0411.